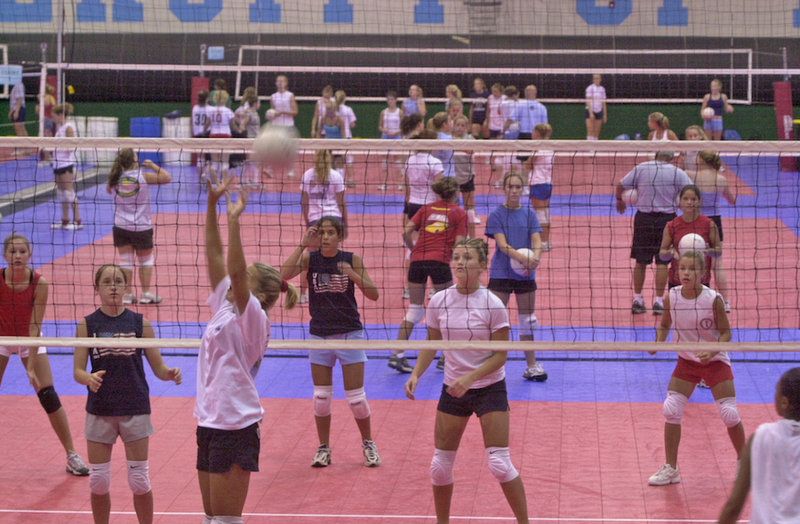 This popular camp is focused on training players in their specialized skill positions: outside/right-side hitter, middle hitter, setter, libero/defensive specialist. The format for this camp is geared for skills training, combination competitive drills and competition. Open to girls in grades 7-12. All players will be grouped by appropriate skill levels and experience to enhance the training and learning environment. There will also be several opportunities to apply what is learned through multi-skill drills and competition. All camp sessions for the Position Skills camp will take place at the Dean E. Smith Center. Includes TUITION, HOUSING (two nights), all MEALS and camp T-SHIRT. Check-Out will be on SATURDAY, JULY 27 at 4:15 PM from Granville Towers WEST.